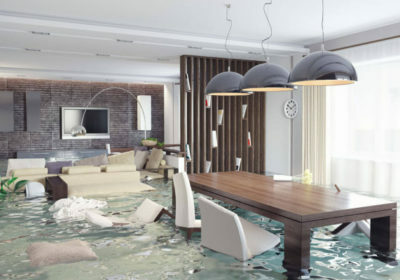 Experiencing any type of flood damage to your house or commercial area can leave you in a state of shock. Your property may get destroyed and the emotional trauma can sometimes be hard to take. In such circumstances, you want the least amount of extra stress. And making sure that you hire the best restoration company in Vancouver is an integral part of finding relief and initiating the rebuilding process. In this article, you will learn about things you should keep in mind when looking for a flood restoration company in your local area. The ideal situation for finding yourself a credible and reliable restoration company is to do so before you actually need one. Call around and look for several companies in your area. Ask them to verify if they are licensed and certified. Inquire about their years in business and about the skills of their technicians. Use the help of the Internet to evaluate their reputation in the local community. Do not forget to ask your friends and family members for recommendations. The more information you collect, the more informed and sound the decision you make will be. Pick two or three companies that you feel comfortable with and keep their information for future reference. It is important for you to ensure that the company you are considering offers 24/7 services. Disasters do not occur only during business hours. Most often, these events take place after normal working hours and you ought to ensure that the restoration process begins as quickly as possible. This will generally start with an agent arriving and analysing the damage. They will take pictures and let you know about the best plan of action to cope with the damage. They will inform you about what has to be done and how much it will cost you. Hiring a reliable and honest company to meet your restoration needs means that you would not have to worry about being taken advantage of in a time of crisis. Sadly, there are companies that prey on those in need. But if you do your homework you will be able to get rid of these companies. Another excellent characteristic of a reputable restoration company in Vancouver is that they will take the burden of insurance paperwork off your shoulders. Most companies will be willing to help you deal with insurance claims. When looking for companies that deal with flood restoration in North Vancouver, it is essential to confirm that the company you are considering is highly experienced. Ideally, the company should have been repairing and restoring properties for more than five years. Hiring this type of company gives you the assurance that your property will be restored to its pre-damaged state properly. Price is always a key factor to consider when choosing companies that deal with flood restoration in North Vancouver. All you want is a company that offers high quality services for an affordable price. So you must consider all these factors before making any final decision.